Abstract: Reinforcement learning is at the heart of modern AI techniques. It is the underpinning of recent breakthroughs in AI such as AlphaGo and driverless cars. In this talk, I will survey the the main ideas of reinforcement learning and introduce an interesting hypothetical application called ‘Smartcab’. Smartcab is a self-driving car from the not-so-distant future that ferries people from one arbitrary location to another. In this application, I will demonstrate how reinforcement learning can be used to train smart smartcabs to desired self-driving behaviors through trials and errors. 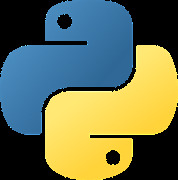 The application is developed using Python and the Pygame framework. Bio: Joe is currently a PhD candidate in Information Systems at Singapore Management University. His interests primarily involve smart technologies for future urban mobility and transportation. He is an experienced R and Python user, where he finds R superb for data visualization and Python an ideal environment for machine learning. He is also interested in applying data science and technologies to social good and international development. When not behind the computer screen, he is an avid traveler and adventurer and an aspiring writer.